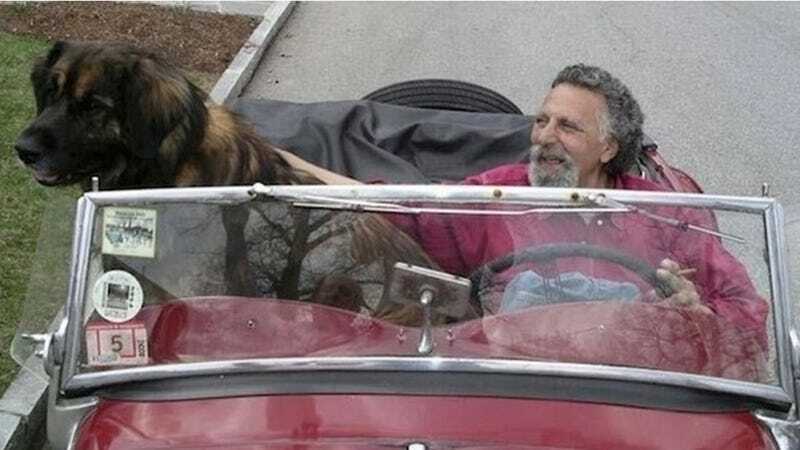 Tom Magliozzi, co-host of public radio's beloved Car Talk, has passed away. Magliozzi hosted the call-in automotive advice show for 35 years, along with his brother Ray Magliozzi. He was 77. Tom and Ray, also known as Click and Clack, the Tappet Brothers, were an integral part not only of many a gearhead's childhood, but their adulthood as well. Their hacking laughter, corny jokes, and love for their native city of Cambridge was always coupled with sound mechanical advice. Belying their folksy nature and genuine warmth was always two smart engineering minds, honed at MIT. But it wasn't just engineering that helped Tom and Ray's listeners with their car troubles. They spoke from genuine practical experience, as they had owned two automobile repair shops. The first, Hackers Heaven, was it a do-it-yourself location, letting all the parking lot mechanics of the world go nuts, according to NPR. The second, Good News Garage, was a more traditional full-service mechanic outfit. I loved, and still love, Car Talk. Both Tom and Ray were exactly the kind of mechanics we all dreamed of encountering when we had a serious car problem. Mechanics with patience, kindness, understanding, and above all, expertise. I wasn't just the kind of person to listen to it while new episodes were still airing, as I still listen to it now in podcast form. Stories about horrible, rusty old Fiats, Chryslers that made strange noises, Saabs that wouldn't start, all peppered the Sundays of my life. Scary stories about mechanical malfunction are normally horrible to listen to, but Click and Clack made them all not only listenable, but enjoyable. Even through the thick Boston accents and wheezing laughter. Wait, scratch that. Especially through the thick Boston accents and wheezing laughter. Ray might have exhorted us all not to drive like his brother Tom, but if we could all drive through life with a small measure of the bonhomie Tom had for his listeners and fellow motorists, we'd all be much better people. Today, we pour out a little oil for Tom Magliozzi, a car nut we all admire. He will truly be missed.